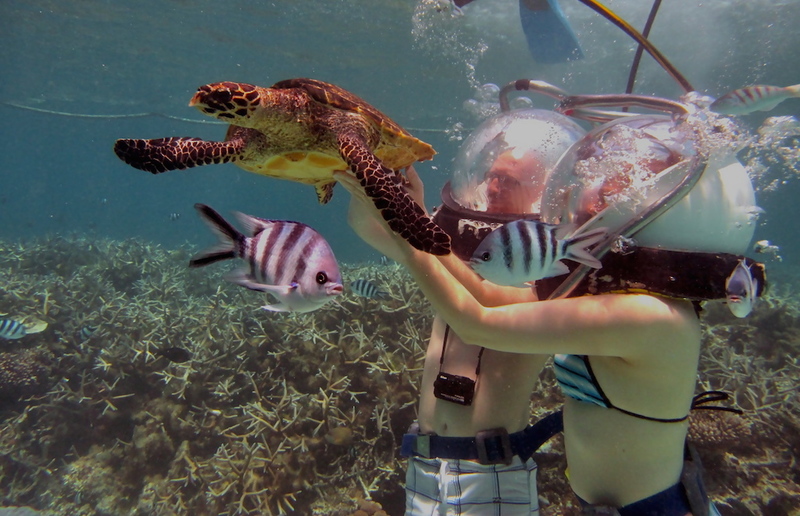 A unique and must do excursion, accessible to all, safe and easy. 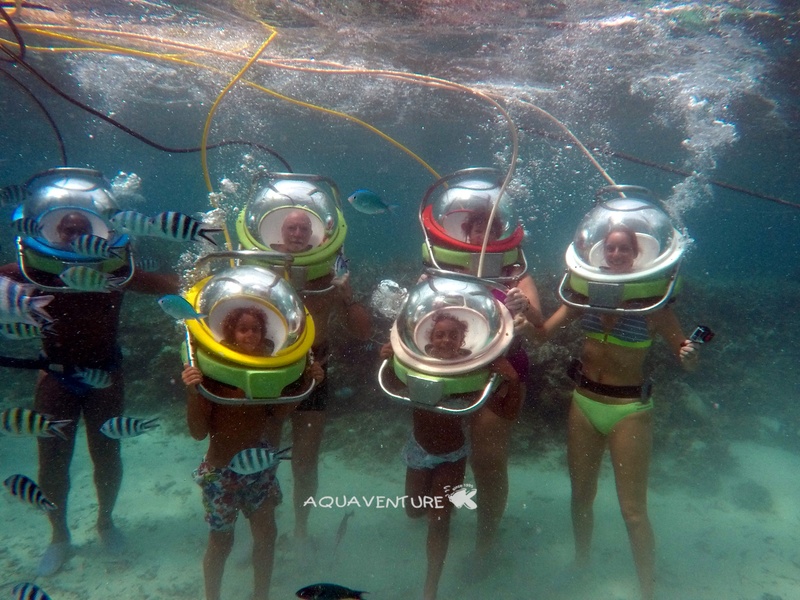 Since 1995 Aquaventure continues to overwhelm thousands of people, including absolute Non Swimmers, people who never thought they would have their head under water and lots and lots of children as from 8 years old. No former experience or training is required. 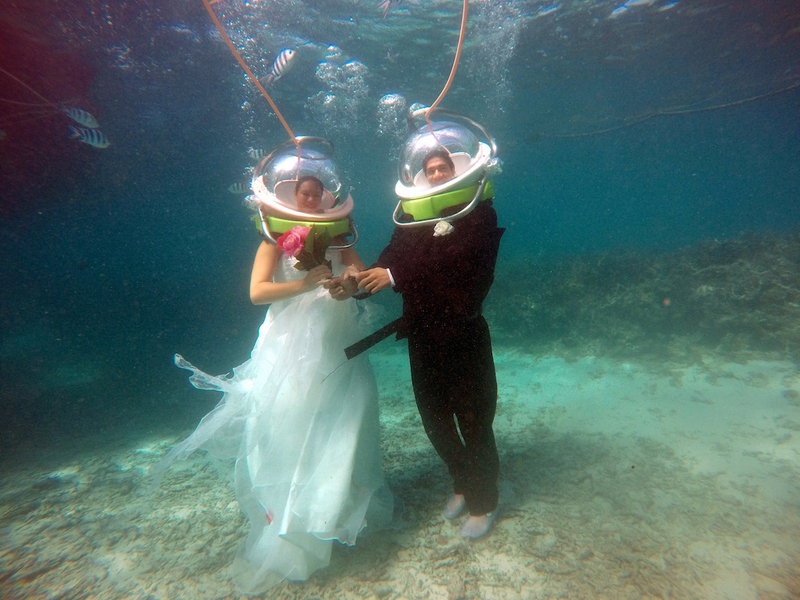 Undersea walking or helmet diving, as it is often called, is for many a feeling of achievement, another first step, a dream come true, a whole lot of excitement and fun. 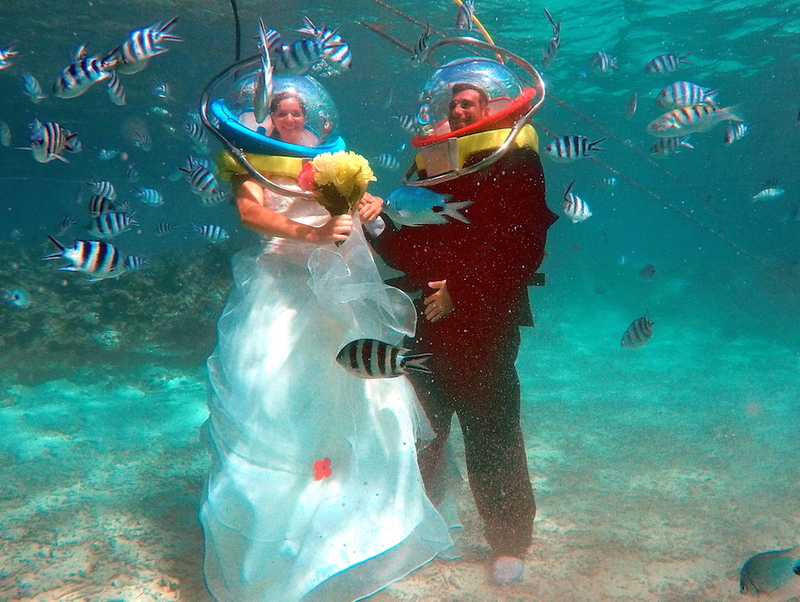 Experience the ultimate sensation where time stops, worries fade away and breathing underwater becomes possible! "Aquaventure - Live your dream!" 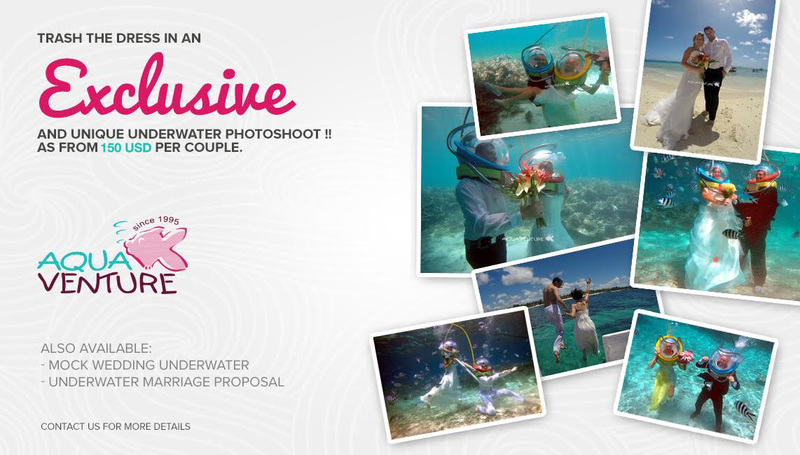 EXCLUSIVE AND UNIQUE UNDERWATER PHOTOSHOOT. with ample experience and track records in dive centers. We also provide professional equipment and a full insurance cover. 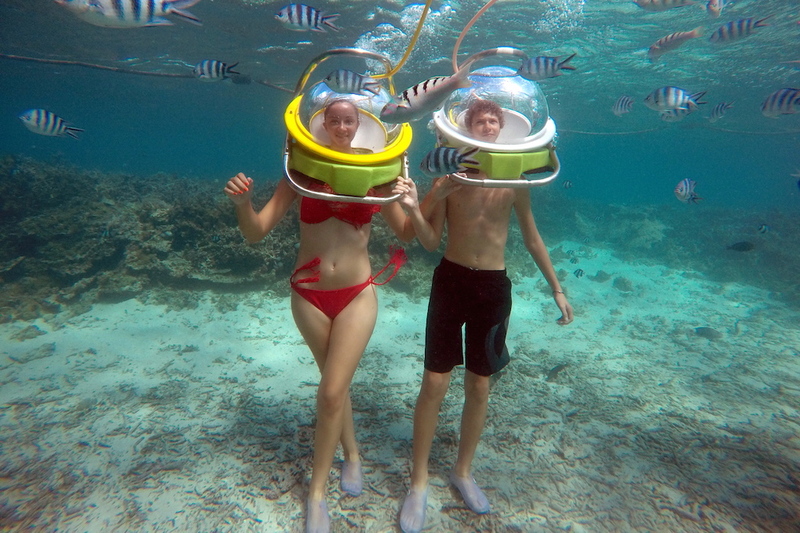 The divers will benefit from our innovative air supply system consisting of a bank of diving bottles, which in turn delivers breathing air of an international quality standard. All diving equipment is systematically inspected and certified by accredited agents on a regular basis. 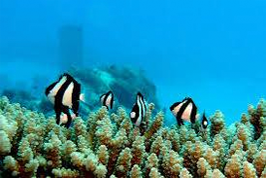 Our air supply system allows us to be free from machineries such as compressors and generators on board and has therefore proved to be the most silent and least “CO2 free emissive” undersea walk operation in Mauritius. Aquaventure continues to overwhelm thousands of people, including absolute Non Swimmers, people who never thought they would have their head under water and lots and lots of children. No former experience or training is required. 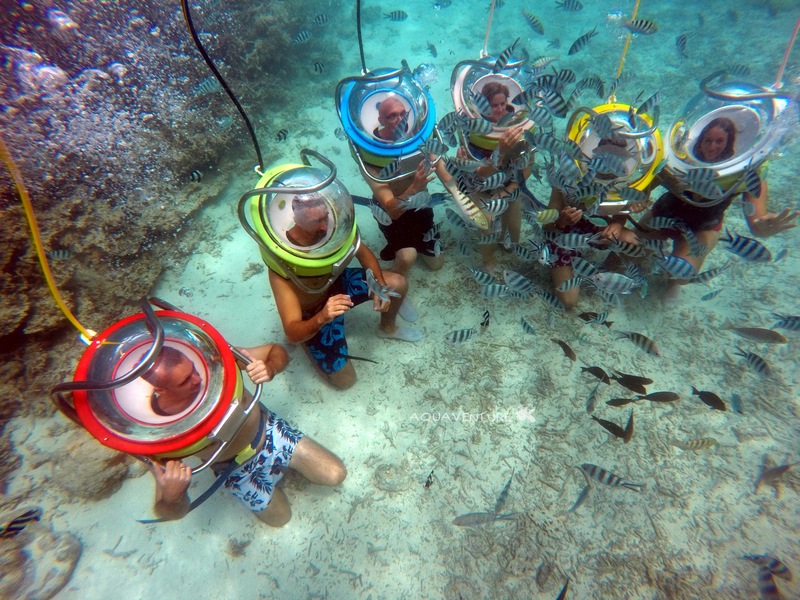 Undersea walk has often been compared to walking on the moon. 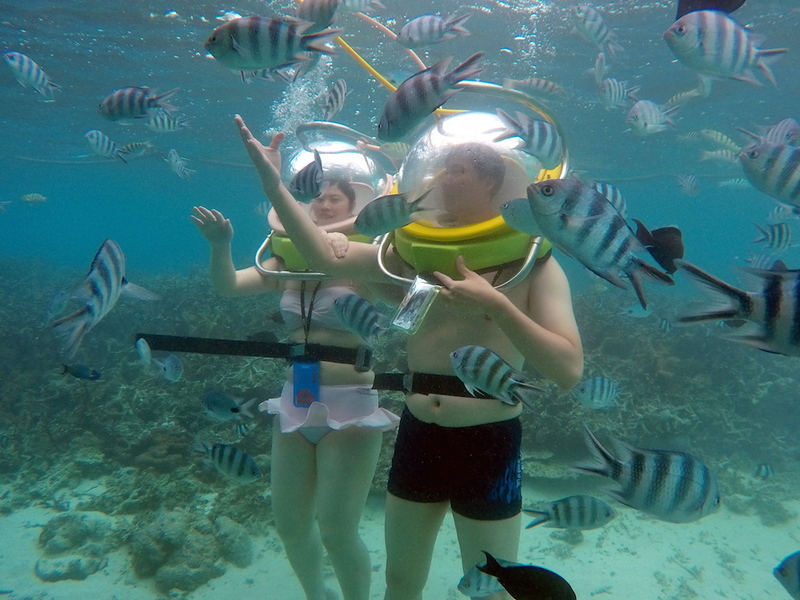 The excursion begins with a short motorboat transfer from the famous beach of Belle Mare to a platform anchored inside the splendid lagoon in front of Long Beach Hotel. On the platform divers will receive a short pre departure briefing on the gear, the local marine life, on safety procedures and on the underwater walking trail. Then, with the help of the guide divers will enter the water up to their shoulders one by one through an opening within the platform. Here the helmet will be placed gently over their head. Next they will be assisted to descend the ladder up to a depth of 3-4 meters and will begin the 15-20 minute undersea walk in groups of max 6 persons. 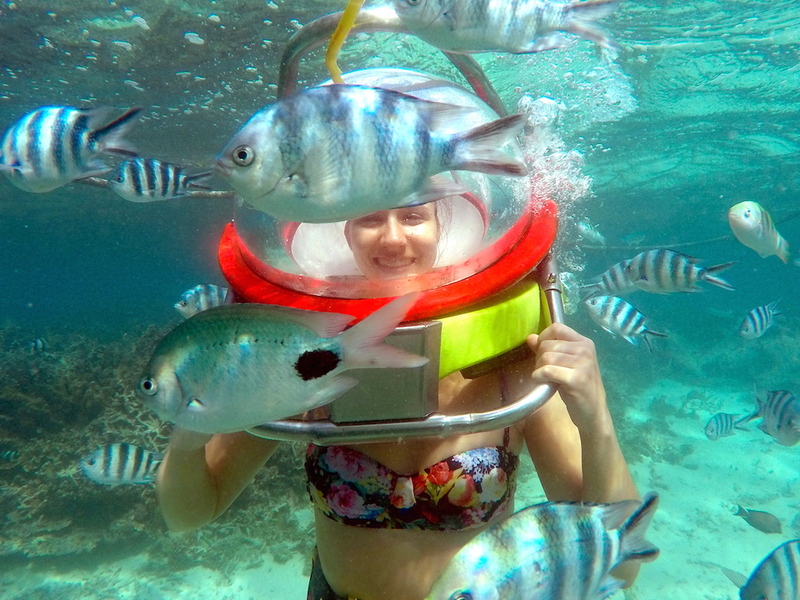 The 30 kg panoramic diving helmet weighs no more than a conventional motorcycle helmet under water and keeps your head dry, thus enabling you to keep your glasses or contact lenses on during the trip. A pipe connected to the surface tank provides a regular flow of air into the helmet and allows you to breathe normally. Swimming is not at all involved in undersea walking; therefore the activity is open to all non-swimmers. 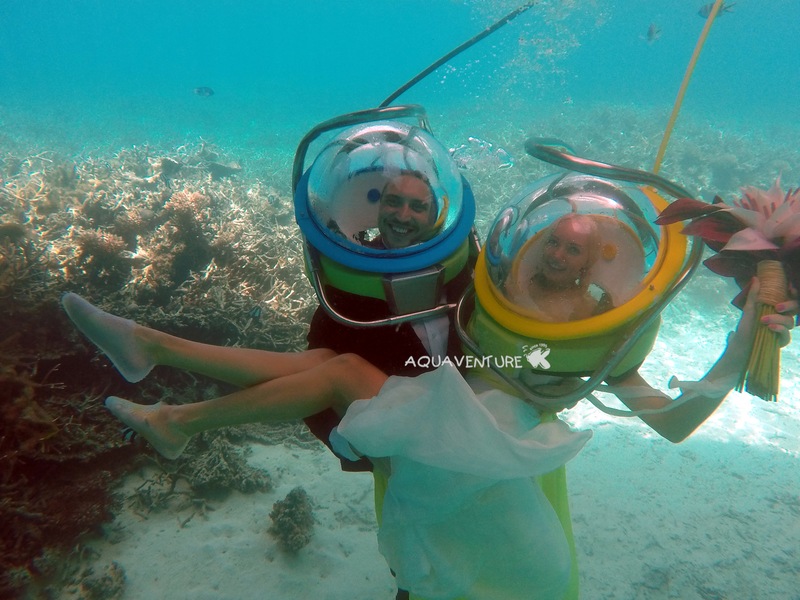 Experienced divers assist in taking you underwater and accompany you throughout the entire walk to guarantee your maximum safety. Surface swimming monitors also watch over you at all times. 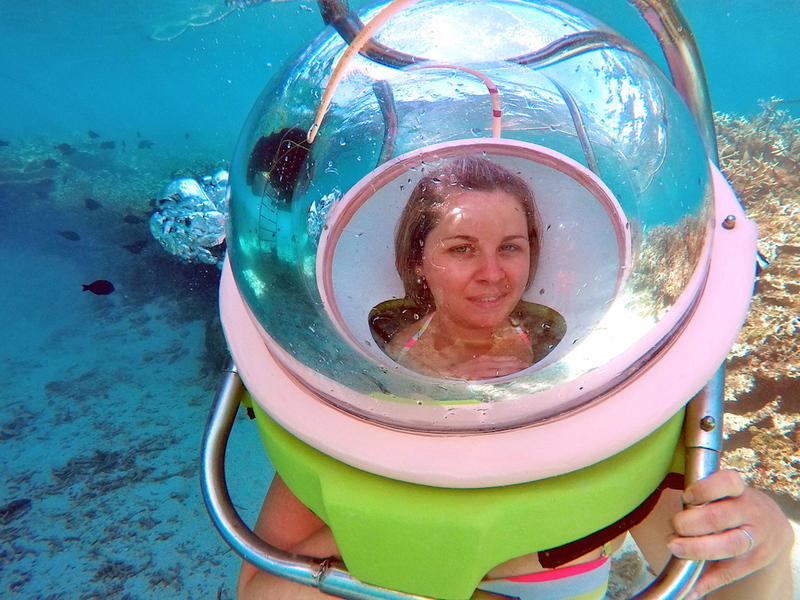 The divers will benefit from our innovative air supply system consisting of a bank of diving bottles, which in turn delivers breathing air of an international quality standard. All diving equipment is systematically inspected and certified by accredited agents on a regular basis. Our air supply system allows us to be free from machineries such as compressors and generators on board and has therefore proved to be the most silent and least “CO2 free emissive” undersea walk operation on the island. 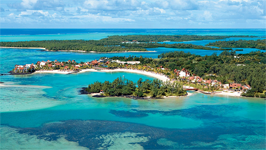 For many years Belle Mare consisted of nothing more than a few bungalows, which had been built in the 1920's. The east coast around and about Belle Mare was left wild and it was only in the 1970's that more progress was made. Two hotels were built on the Belle Mare beach and they remained the only ones in that region for about 10 years. Around the 1980's Belle Mare was suddenly inundated with hotels being built all along the beachfront. These hotels now stretch side by side all the way up to 'Trou d'eau Douce'. However, in comparison to the rest of the country the east coast is still lightly populated and least developed. Belle Mare also has one of the most renowned beaches on the island. This long white sandy beach runs on the east coast of Mauritius and boasts a deep, lush lagoon with a border of casuarina trees. Simptly an excellent location to lie back and relax or swim. On weekends the Belle Mare beach is also a very popular picnic spot for the locals. 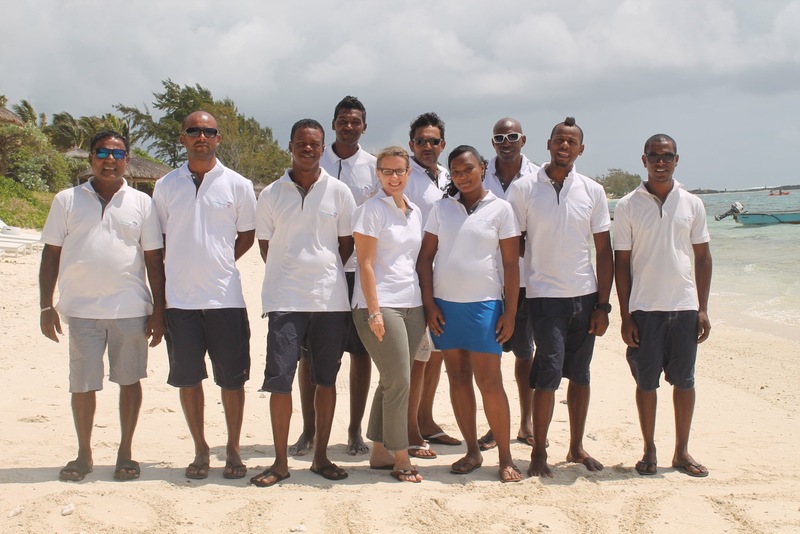 Over time Belle Mare has also become known as one of the best kite-surfing spots on the island. 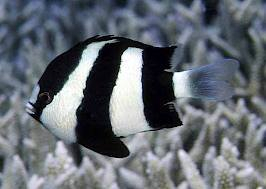 It is equally admired amongst divers for its reef and wreck dives. All other water sports , incl. 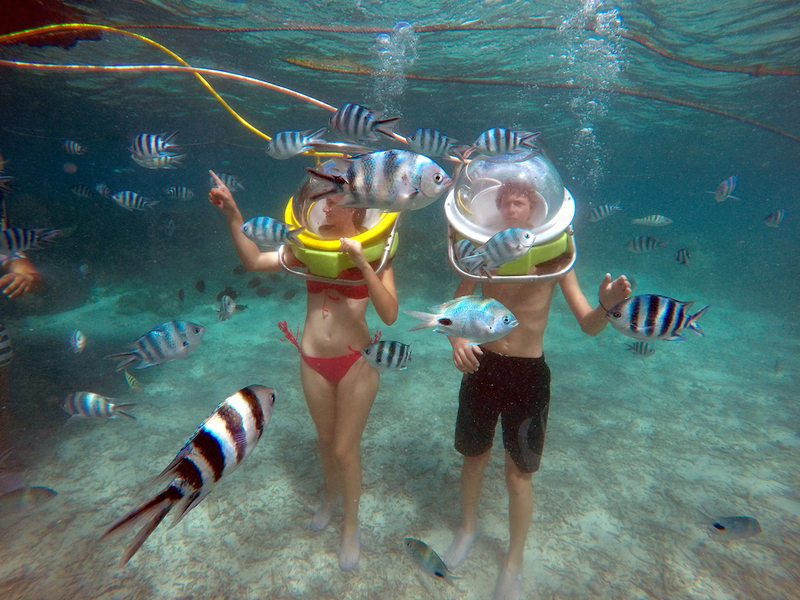 Parasailing are practiced here and due to its magnificent underwater life in the shallow lagoon it has remained a spectacular site for undersea walk. Mauritius is a shoppers dream as prices are reasonable and at the markets you can do some hefty bargaining. 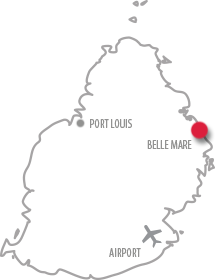 Belle Mare has some souvenir boutiques as well as a few exclusive designer shops and there is a market at Centre de Flacq, which is quite close by. 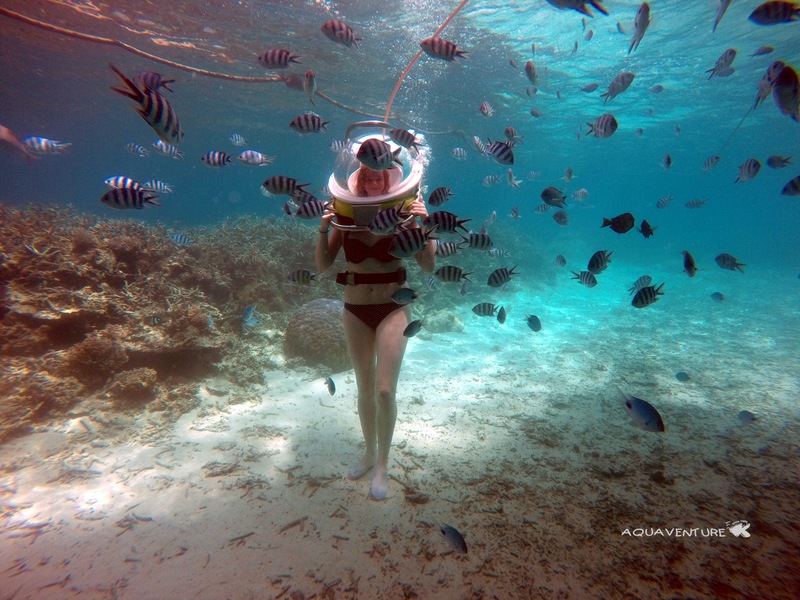 Many visitors of the East Coast also make a halt in Trou D’Eau Douce where a short boat trip brings them to Ile aux Cerfs, famous for its beautiful beaches and crystal clear shallow waters. You can now book easily and conveniently online directly on our website! For more information and bookings please complete the contact form below. 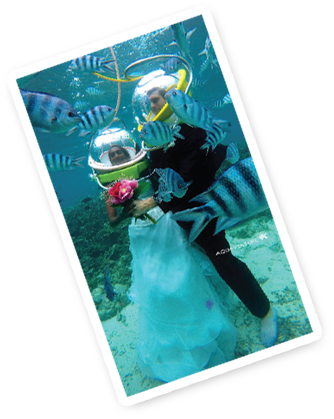 Include in your message, your name, the number of persons (adult/child) and preferred date and time for your Undersea Walk trip. "Non diving" visitors may also be booked to go out to the dive platform. Non-swimmers. People wearing contact lenses or glasses. Any person with reasonable physical and medical fitness. Pregnant women. Any person suffering from cardiac, respiratory and convulsive related diseases.